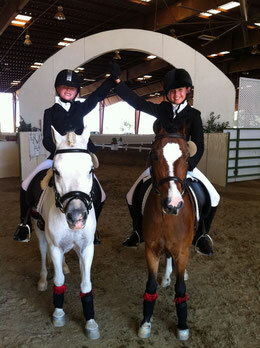 Youth Riding Lessons - Website of jessicamillerdressage! Jessica and her barn, Rancho Del Lago hasearned a reputation for it's quality youth riding program as being one of our specialties. Our barn has a distinct niche for kids with it's wonderful safe and gentle school horses and ponies, summer camps and activities centered around kids such as the barn sleep over, Halloween costume parade, and cross country course just the perfect size for kids. 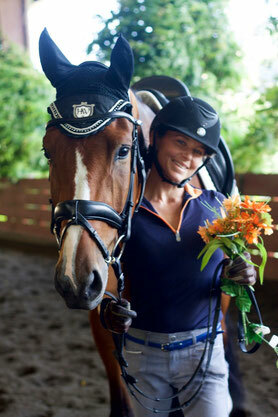 Jessica has specialized in youth dressage for more than a decade and has been taking kids to their first shows and championships for that entire time so she is very experienced in working with kids and believes that horses teach kids the most valuable life lessons such as empathy, caring for others ahead of self, responsibility and above all, love.